Russia’s S-400 air defense missile systems have created “total exclusion zones” in Syria, which is something no other such system around can boast of. Military expert Viktor Murakhovsky told Sputnik that this is why many foreign countries want to have the S-400 in their arsenals. 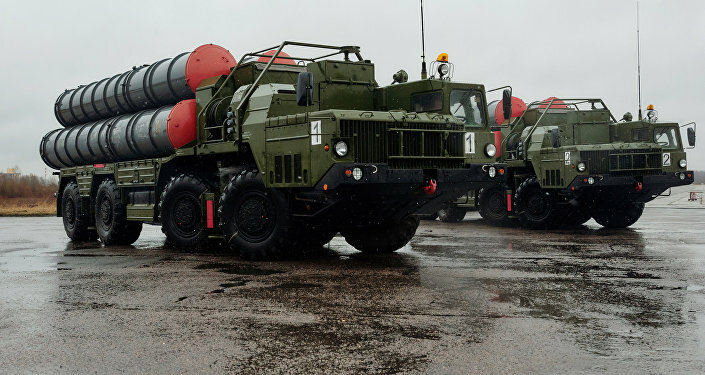 The head of state arms exporter Rosoboronexport, earlier said that Russia had received about a dozen orders for the delivery of the S-400 systems. Russia is now negotiating the supply of the state-of-the-art S-400 missile systems to India while a contract for their delivery to Turkey is now close to being signed. “The growing demand for the S-400s is very understandable now that these systems have turned the skies over the Hmeimim air base and the Russian military headquarters in Syria into a total exclusion zone, creating a great deal of problems for the enemy,” Viktor Murakhovsky said. Russia has also established similar “exclusion zones” in Kaliningrad region, Crimea and on Sakhalin Island. “With a system like this, other countries will also be able to establish such 'exclusion zones,' whether total or partial, modern militaries, including US, will find hard or impossible to penetrate,” Murakhovsky added. He believes that in addition to India and Turkey, Egypt, Iran and some Southeast Asian countries, wary of China’s growing military might, could be willing to obtain S-400 missile systems. In an interview with Sputnik, the head of the Center of International Arms Trade Analysis Igor Korotchenko described the S-400 as the most technologically advanced segment of the global arms market. “The latest version of the US Patriot missiles, the PAC-3, is the only such system around that can hold up to the S-400,” he said. Korotchenko added that modern-day warfare is quick and necessitates the use of high-precision weapons, cruise missiles, including shipboard ones, tactical missile systems and combat aircraft, including weaponized drones. “The S-400 effectively handles a wide range of modern-day threats,”Korotchenko explained. He added that the S-400 could be of prime interest to Southeast Asian countries and those in North Africa and the Middle and Near East. Meanwhile, Russia's Federal Service for Military-Technical Cooperation (FSMTC) is currently working on about a dozen orders for deliveries of S-400 missile systems. The FSMTC is also working to increase the exports of navy equipment and improve maintenance services it offered its customers.